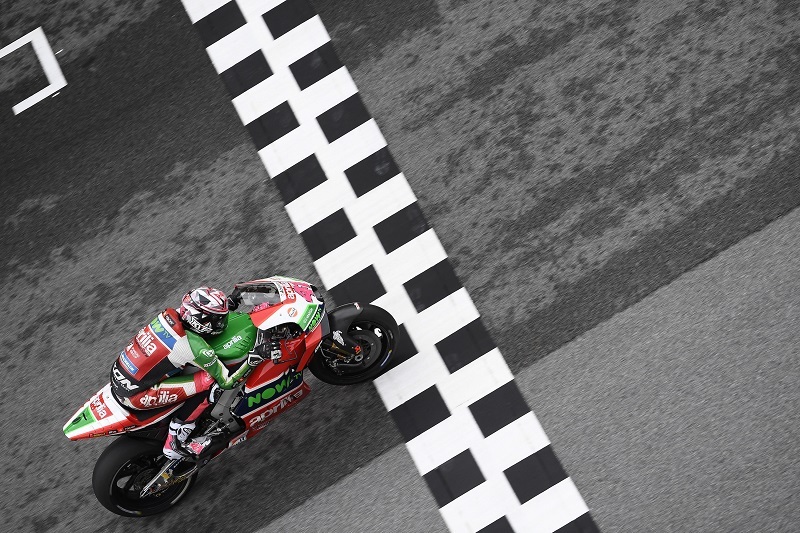 Qualifiers that were initially suspended due to too much water on the track and then resumed in wet conditions, concluded the second day of the GP of Malaysia. Aleix Espargaró found the same good sensations as yesterday, especially in terms of race pace on used tyres, and he defended well on a wet track, going through to the second qualifying session. During the initial stages of Q2, the session that decides the first four rows of the starting grid, Aleix took a spill that forced him to pit. Going back out with the second bike, the Spanish rider had to settle for the twelfth best time and will therefore start from the fourth row. This is a good result, but it does not reflect the potential of the Aprilia rider: with the time he did in Q1, the Spaniard could have battled for a spot on the second row. In any case, the work done throughout the weekend places Aleix in conditions to be able to aim for an important result in the race tomorrow, which will be moved up to 11 o’clock in the morning local time, given the weather forecast. Scott Redding will start from the first spot on the fifth row after doing the thirteenth best time in Q1. The English rider, always at ease on a wet track, expected more of the day, but had to reckon with a lack of grip and a bit of difficulty getting the RS-GP to corner.